No wonder Botox and fillers are the most popular skin treatments on the market today! Popularity of injectables is very high but most of the people don’t know the difference between Botox ad Fillers. Both treatments are the cosmetic skin treatments and performed by Dermatologist by injecting chemical into skin. Botox and Fillers are mainly used to correct the skin problems such as fine lines, wrinkles, ageing, etc. But Botox and Fillers are different from each other. Before taking Botox and Fillers treatment you must know about the difference between them. Let’s know in detail about Botox and Fillers. What is Botox and what are they used to treat? Botox mainly used to treat wrinkles and fine lines by preventing movement of muscle. Botox treats the fine lines and wrinkles that occur when someone use their muscles to make a facial expression. Remember, Botox never work on the wrinkles or fine lines that are caused by loss of plumpness or sagging in the face. So when you take the injections of Botox, you can reduce sweating for a certain number of months. It is a form of botulinum toxin which can be fatal if used in large amounts. 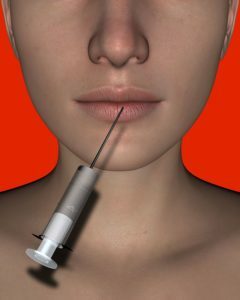 So, it is necessary to give the Botox injection in the right dosage. Botox can cause to the several allergic reactions in skin such as itching, headache, rashes and swallowing. A badly done Botox can be the reason of drooping of the brows and eyelid, if injected near the eye. So, it is important to choose your clinic wisely and undergo the Botox under an expert. What are Fillers and what is it used to treat? Fillers which are generally named as Derma Fillers are commonly used to recontour the lips, cheeks and around the mouth. It contain chemical which is useful to minimize scars, wrinkles and add fullness to the face. Fillers are also used to treat laugh lines and marionette lines. Some fillers last up to 2 years while some only 6 months. Before having the treatment, one should be aware about the side effects. Fillers treatment can cause swelling, redness and bruising or can lead to the muscular pain and lumps. So, before you undergo the Botox of Fillers treatment, you need an individual meeting with your dermatologist to discuss the all important factors. Who should avoid Botox and Derma Fillers? 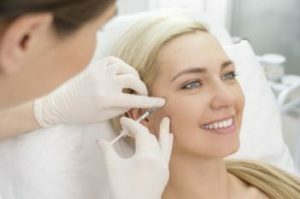 If you are allergic to any components within Botox and Fillers, you should about this treatment. You should avoid Botox and Fillers if you’re pregnant and breastfeeding. It is said that having Botox during pregnancy can be harmful to unborn child. If you want to take the Botox and Fillers, then schedule your consultation now! Our consultant will explain you all the things about Botox and Fillers in detail. Cosmotree Clinic offering 40% discount on Botox and Fillers Treatments. We are the leading skin & hair clinic in Delhi and provide only USA FDA proven services to our customers. This entry was posted in pigmentation, Skin Treatments and tagged Acne Removal Treatment in Delhi, Botox and Fillers, Derma Fillers, Scar Removal Treatment in Delhi, Skin Lightening Treatment in Delhi, Skin Treatment in Delhi, Skin whitening treatment in Delhi. Bookmark the permalink.